Living in Colorado I am outdoors an inordinate amount of time, and living on the front range I am at an amazing microbrewery almost as often. Going backpacking and camping is a summer institution for me and I love having a fresh local brew to go along with the experience, that sadly requires packing in multiple single cans of my favorite beer and then packing out the remnants with no way of keeping them cold. 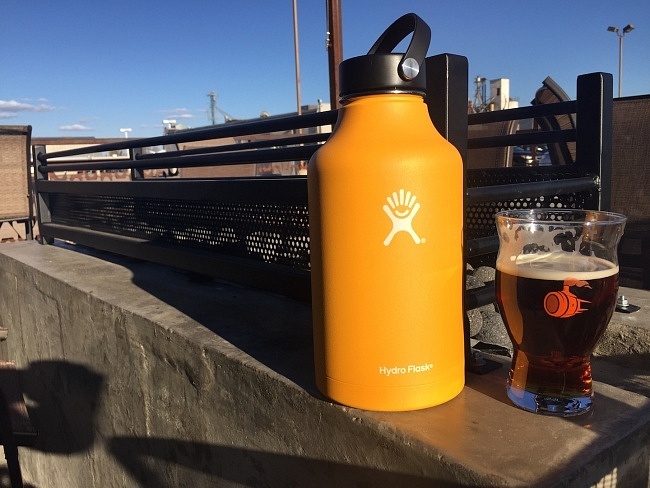 Hydro Flask’s 64 oz Wide Mouth Growler and pint glass comes to the rescue; it allows me to enjoy fresh local beer with no waste in a durable container that is leaps and bounds better than the normal glass counterpart. 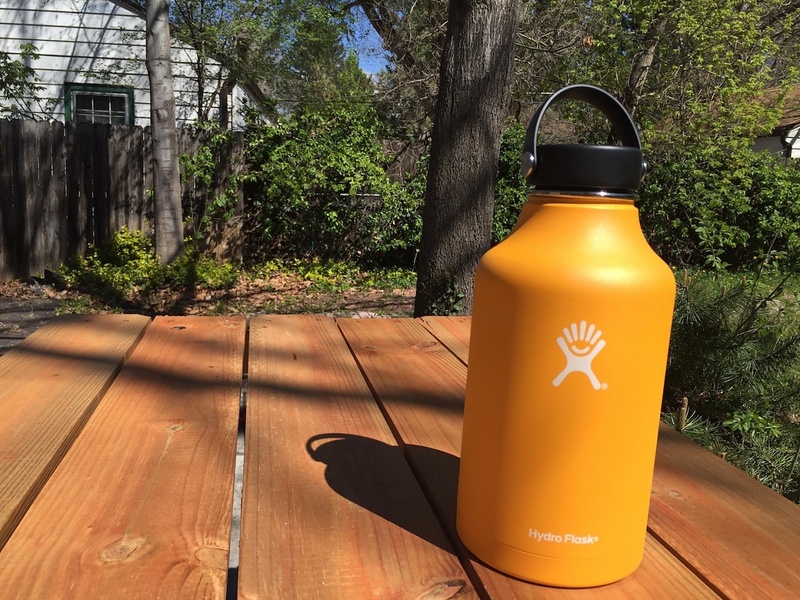 The 64 oz Hydro Flask Growler is extremely handsome with its bright and attractive colors and the flex cap makes carrying far easier and more convenient than any growler I have ever used. When pouring my brew I found it very easy to hold despite it large size, this is due to the finish being designed around maximum grip that holds with confidence even when wet. 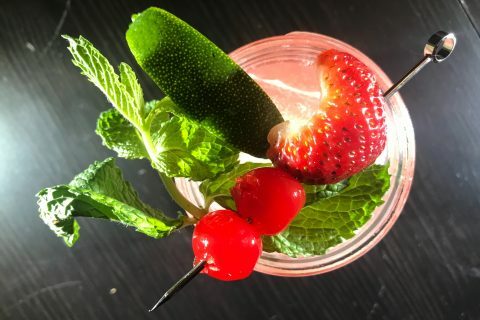 The Hydro Flask even pours extremely well due to its ergonomic design that minimizes spillage, and the stainless steel innards made it extremely easy to clean and did not alter the flavor of beer I was drinking in any way whatsoever. The 16 oz true pint travel glass pairs with the growler perfectly making enjoying a fresh beer incredibly easy, even in the mountains far away from civilization. 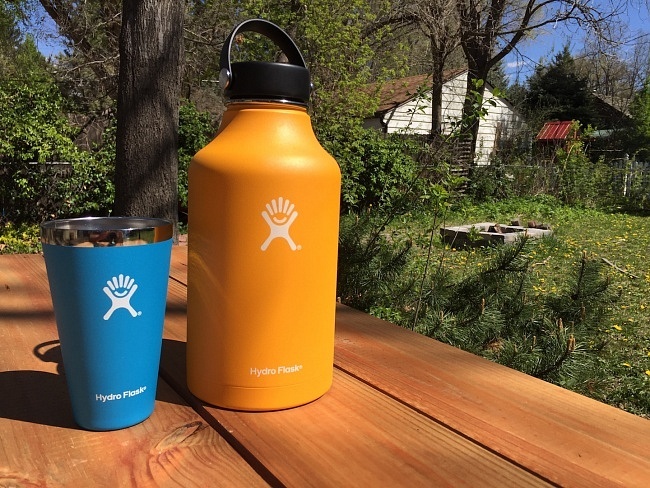 Hydro Flask claims that due to the double-walled vacuum sealed design it can keep beer cold for 24 hours; I was a bit skeptical of this since I have seen this claim before and have yet to own a growler that keeps my beer cold for more than 3 hours, let alone a full 24; so I decided to test it for myself. I rode my bike down to a local brewery with the growler in tow, got some fresh beer and rode back home in the Springtime afternoon heat. 6 times over a 24 hour period I used a laser thermometer I use while brewing to check the temp of the liquid inside, and to my surprise the growler did indeed hold temperature the entire time without heating up at all. This insulative capability is very impressive and I plan on making use of it extensively over the upcoming summer months. 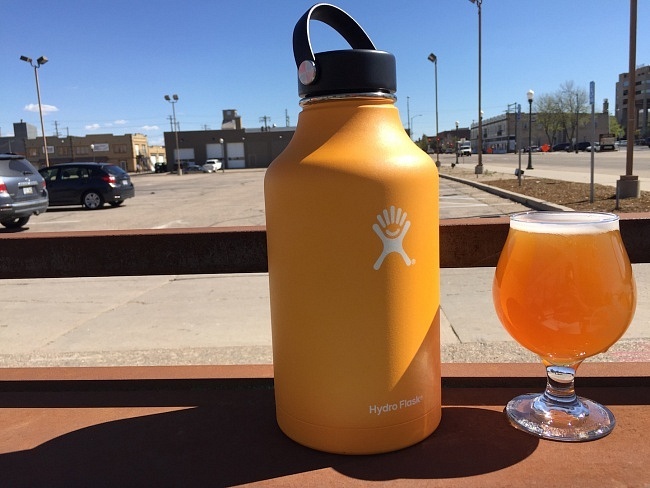 I wholeheartedly recommend the Hydro Flask Growler and pint glass for beer drinking away from home due to its unparalleled ergonomic design and absolutely insane insulative capability. The unbeatable combo of the 64 oz growler plus the pint glass would easily make the perfect creative and thoughtful father’s day gift for any dad that favors adventure and incredibly fresh and cold beer, or you can just get it for your own enjoyment.